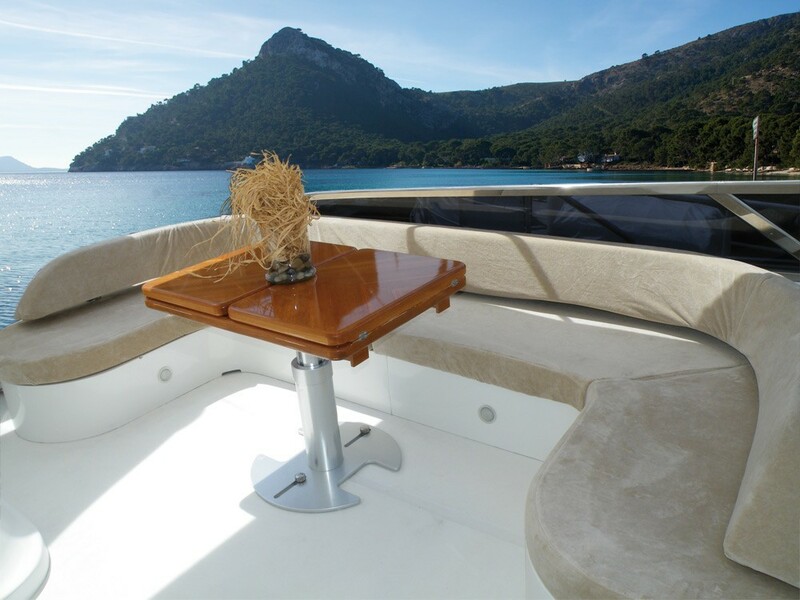 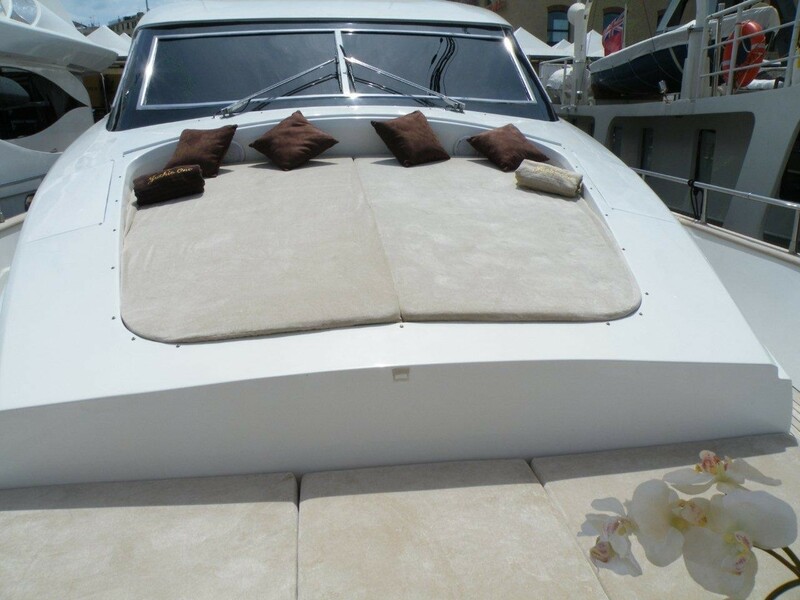 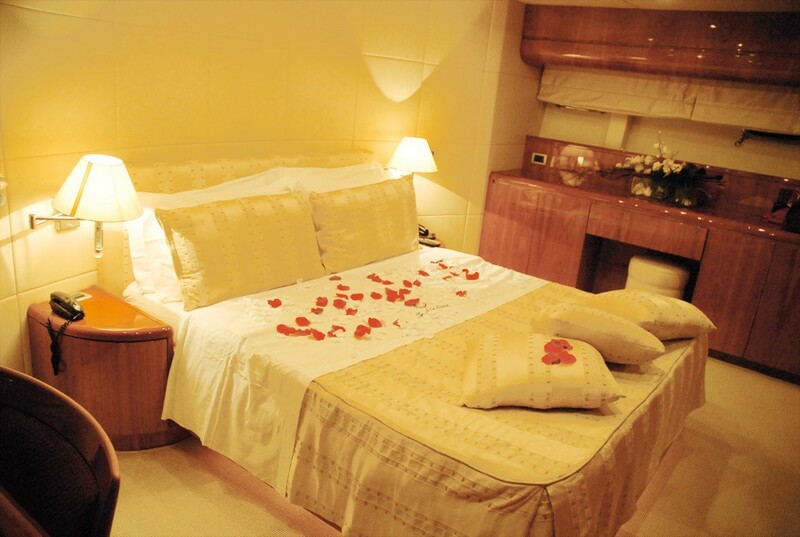 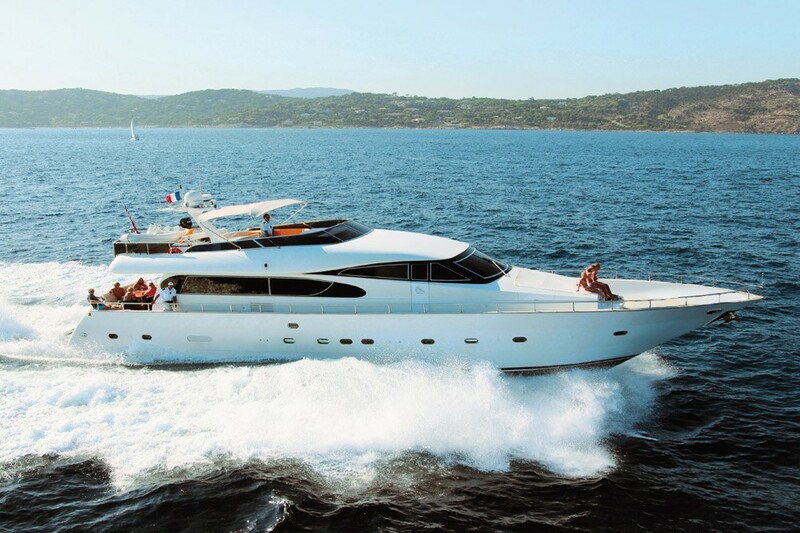 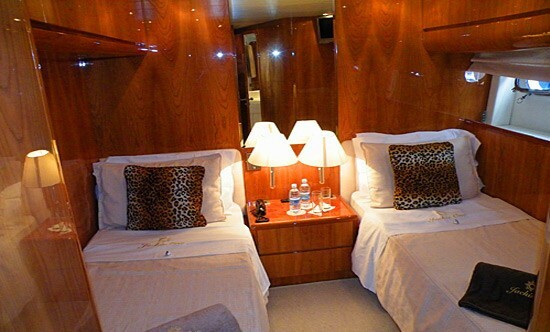 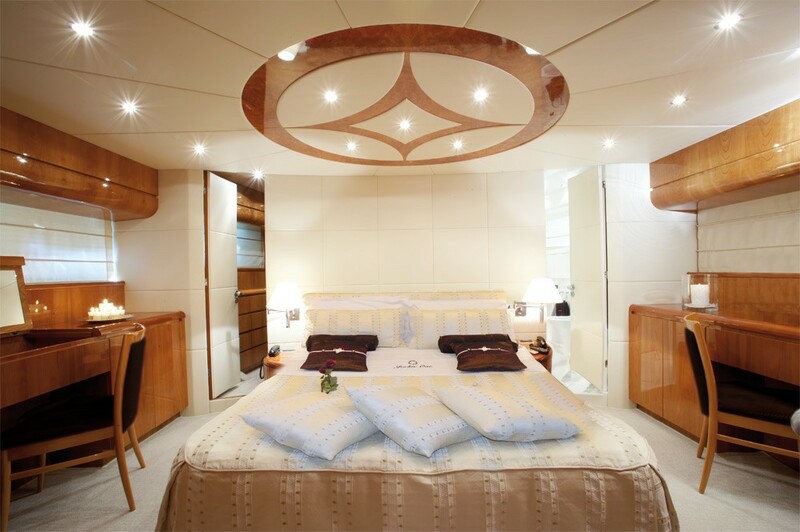 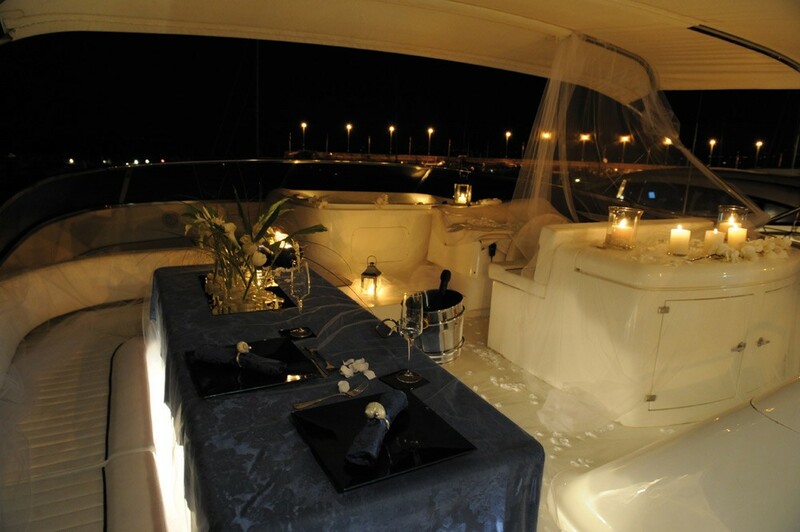 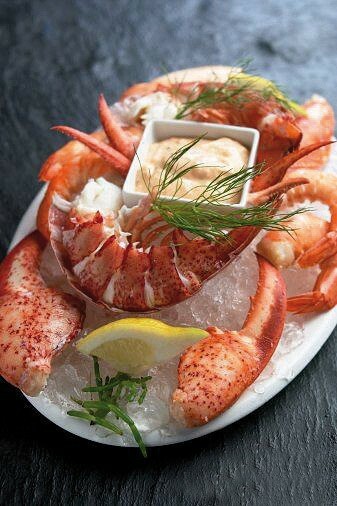 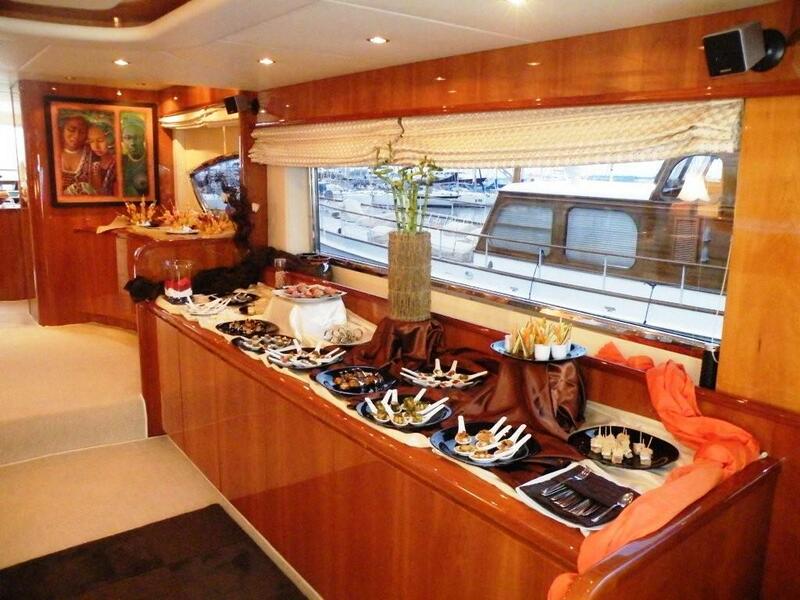 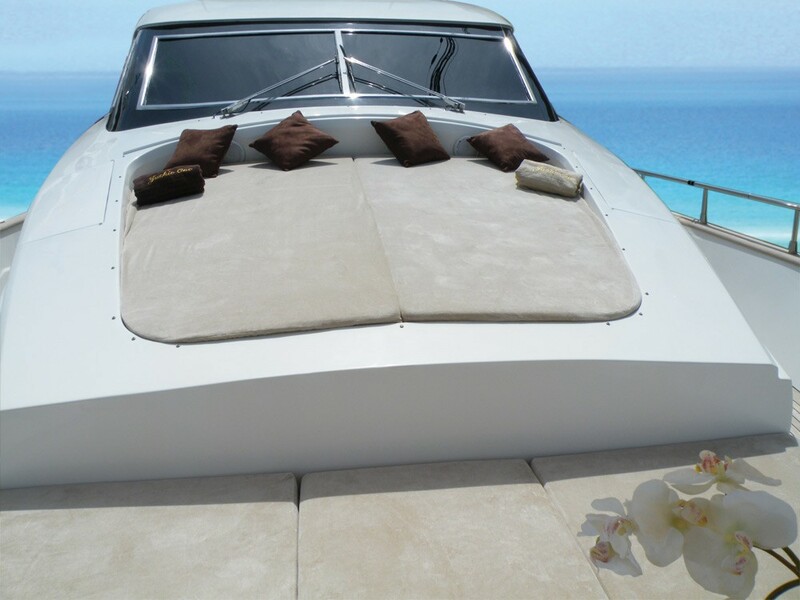 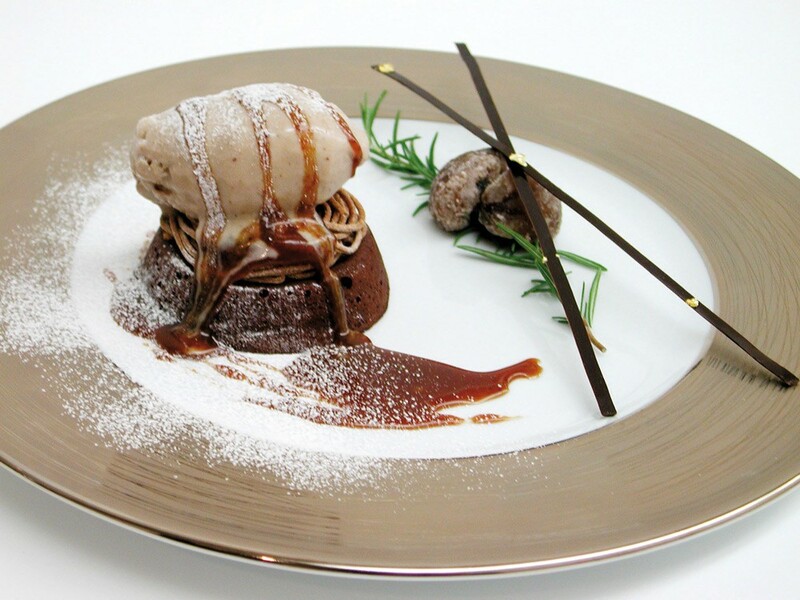 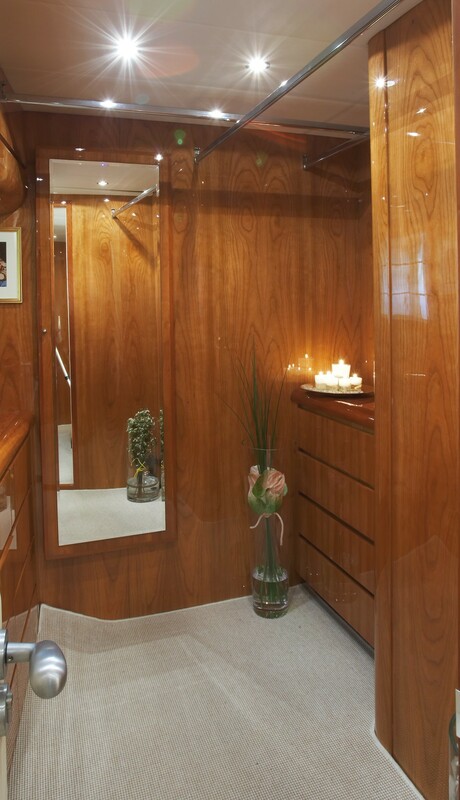 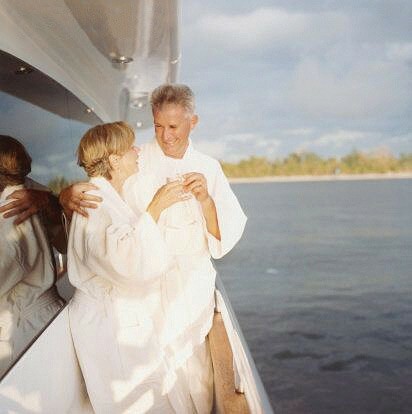 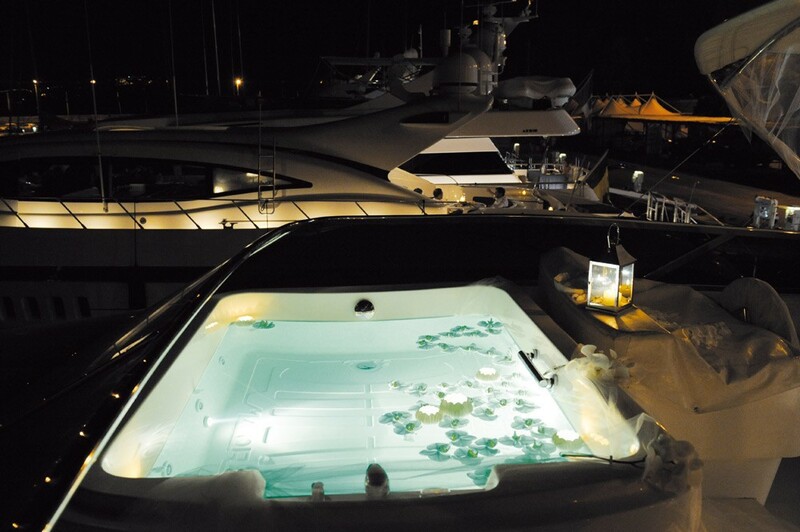 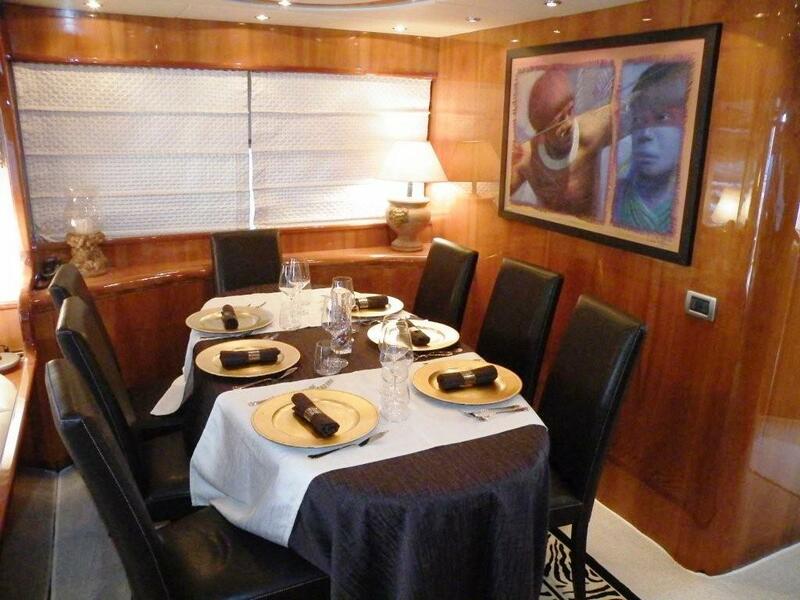 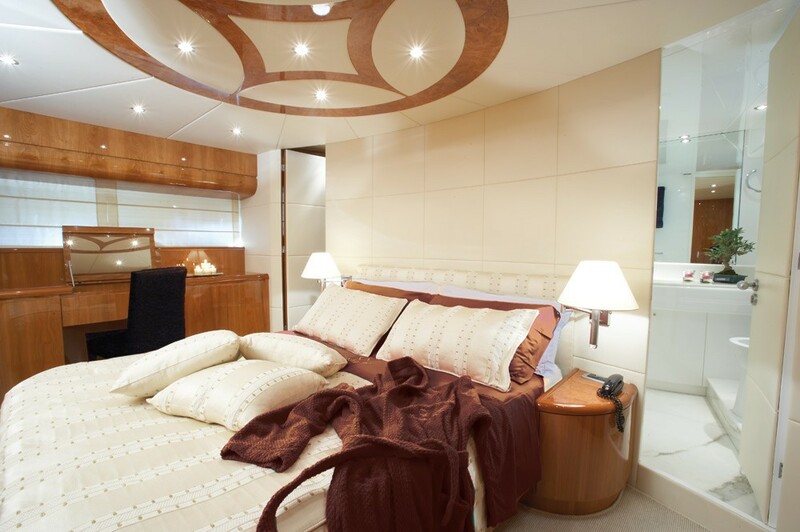 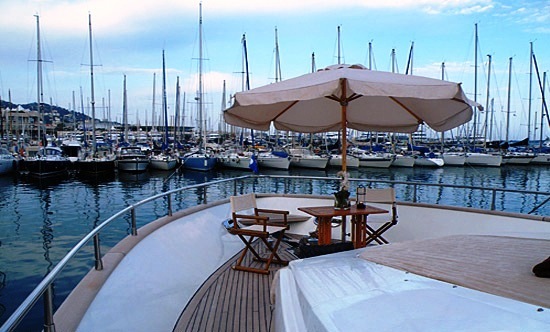 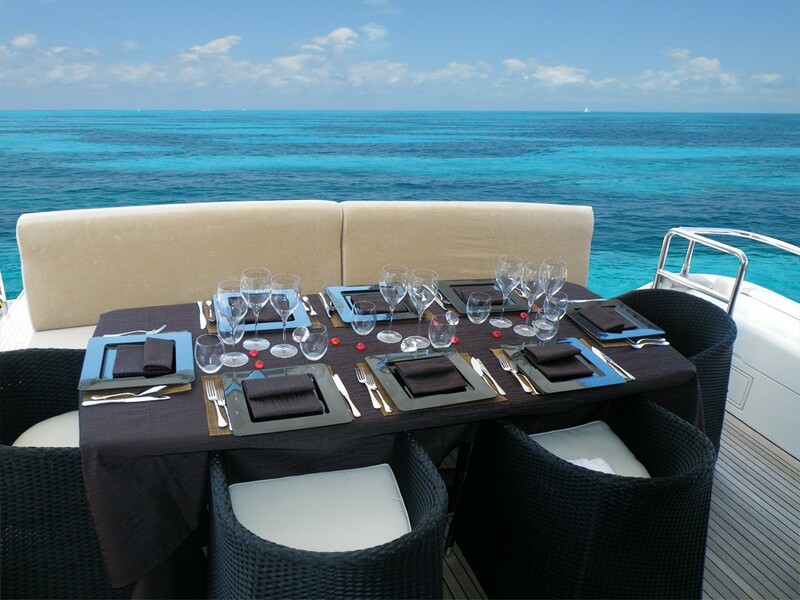 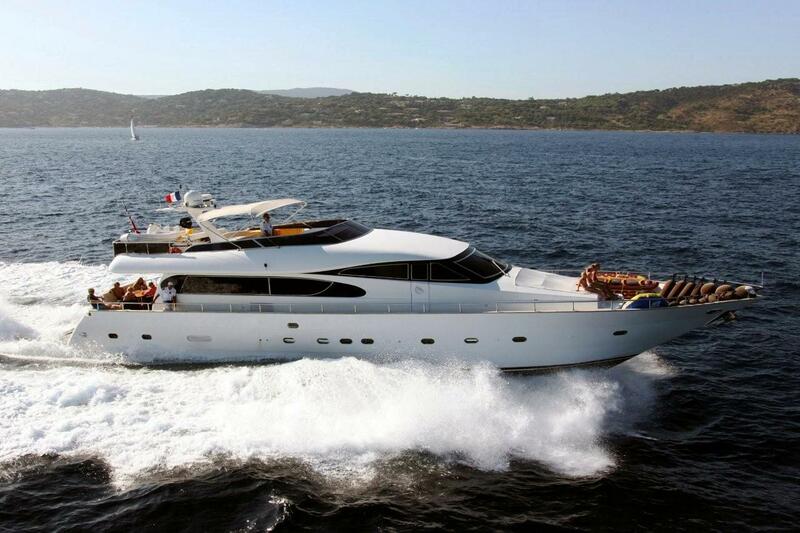 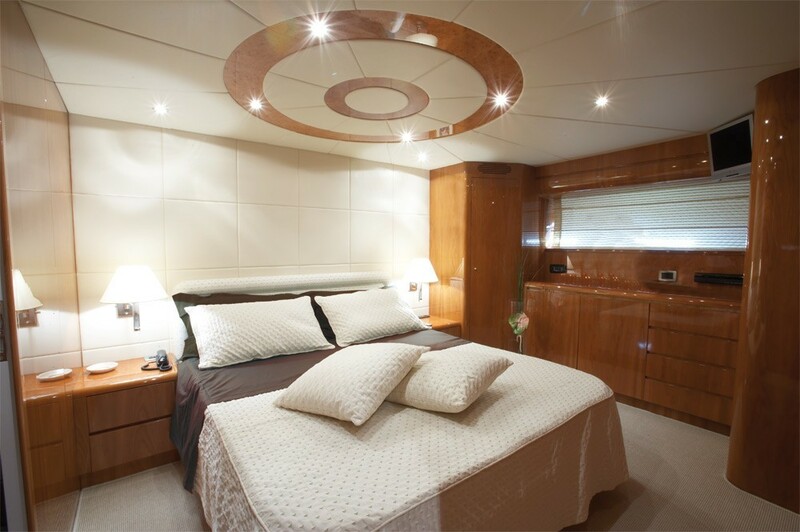 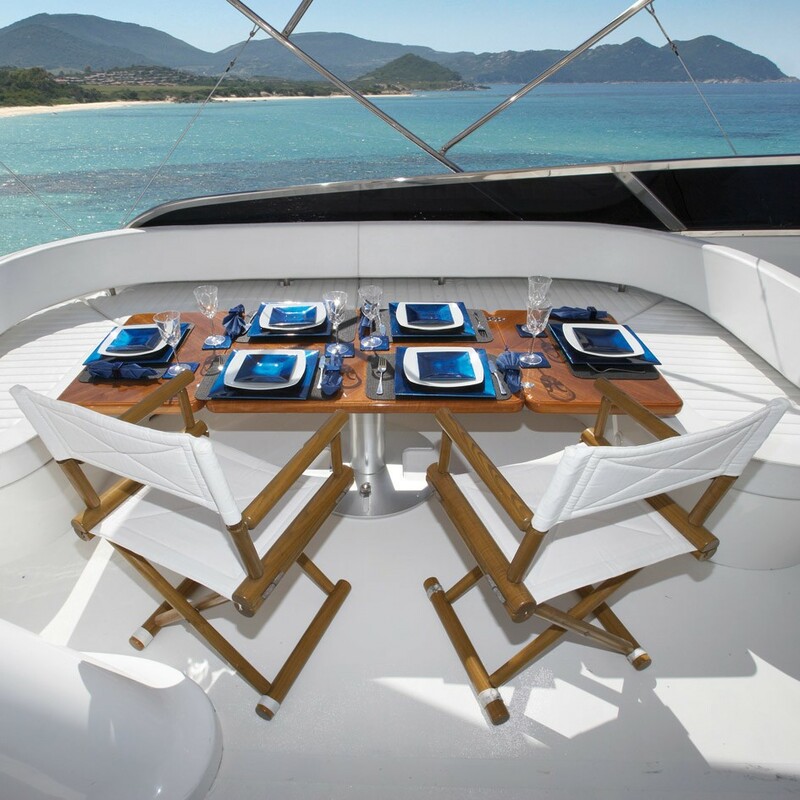 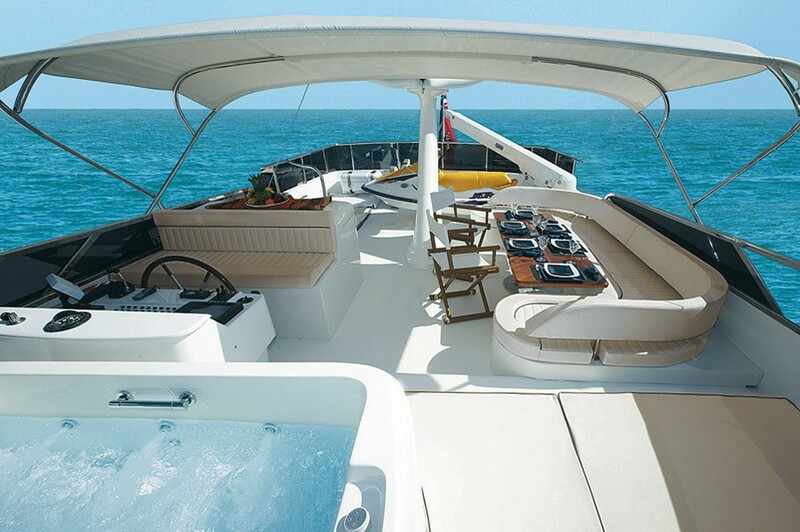 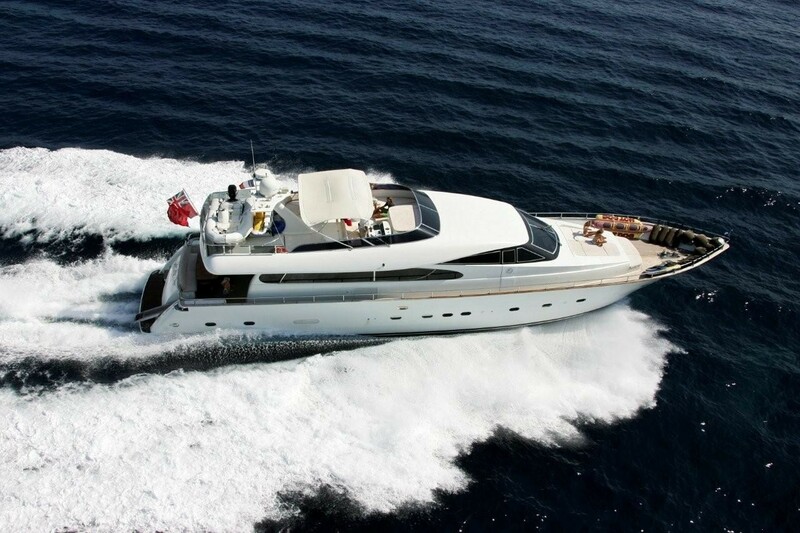 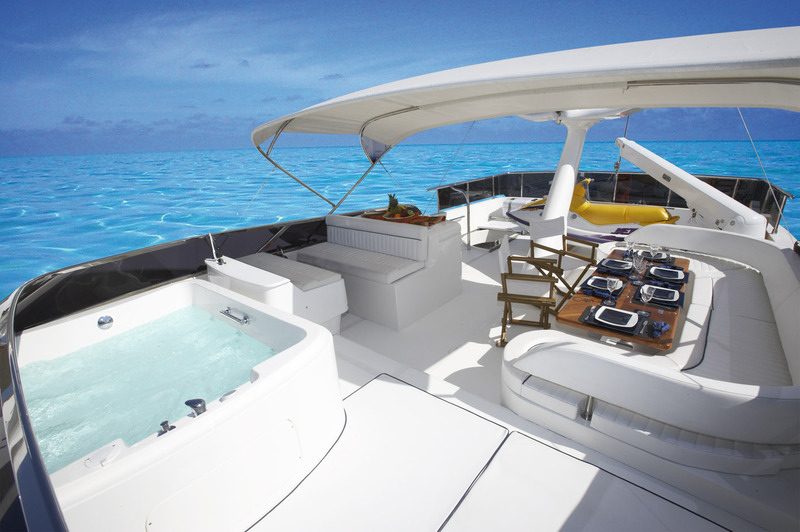 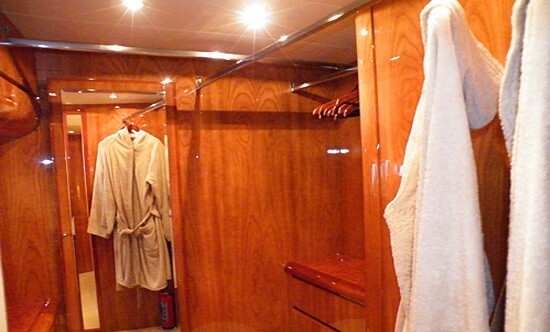 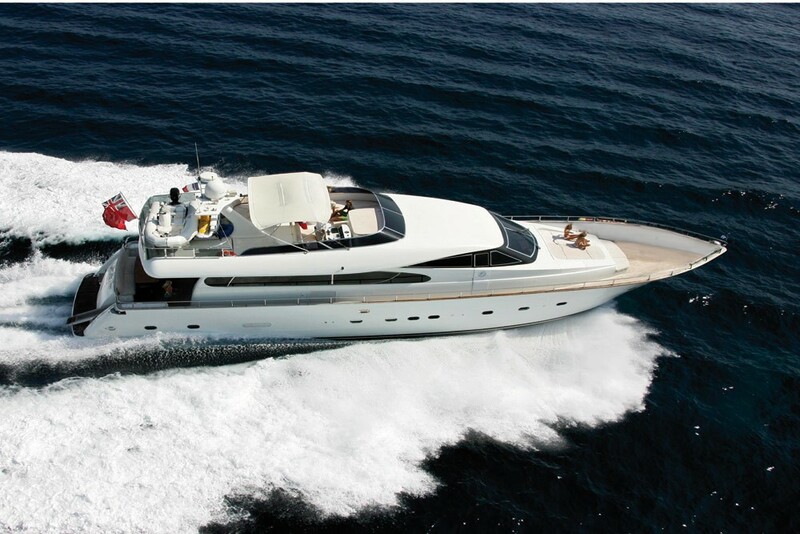 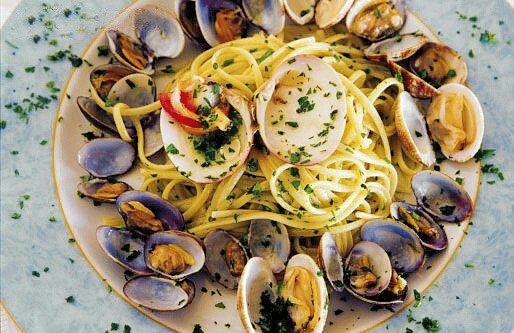 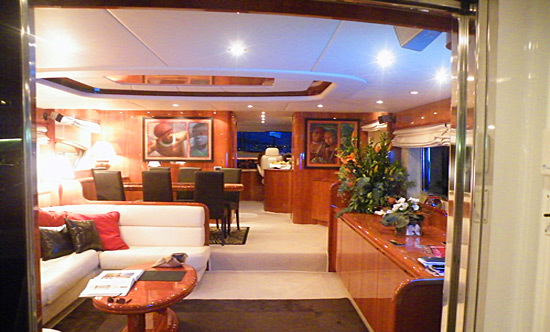 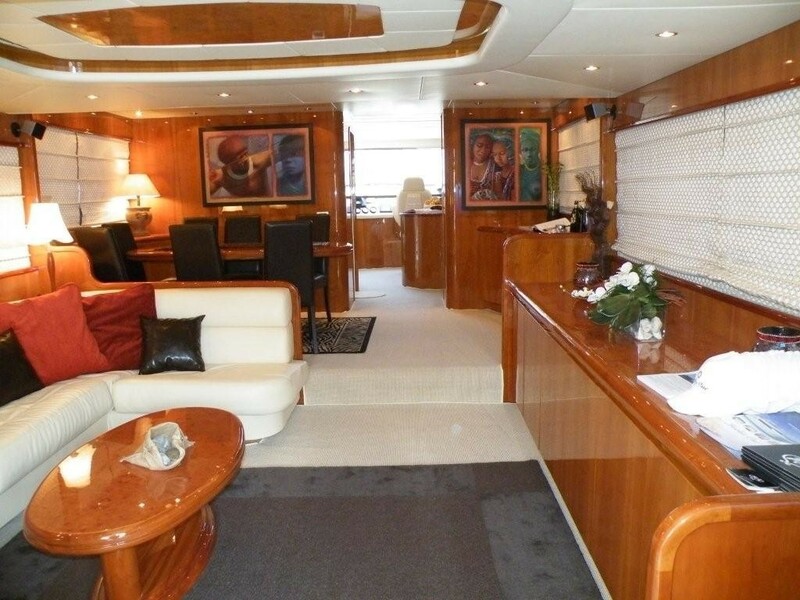 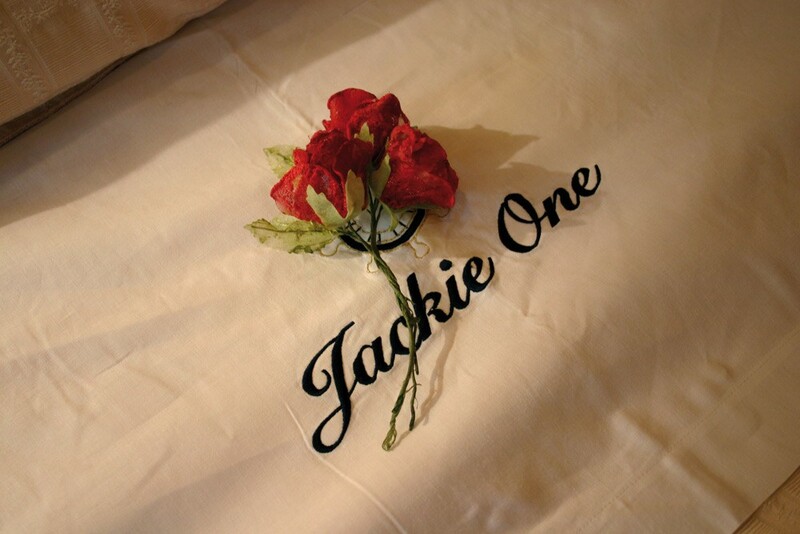 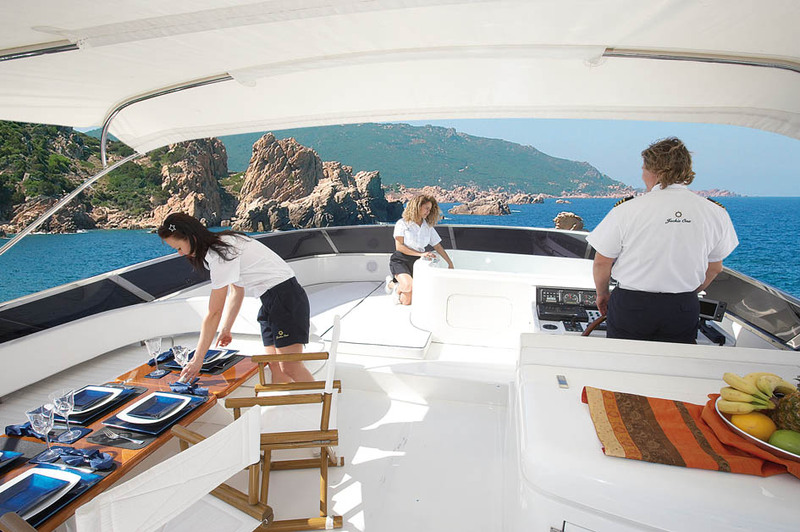 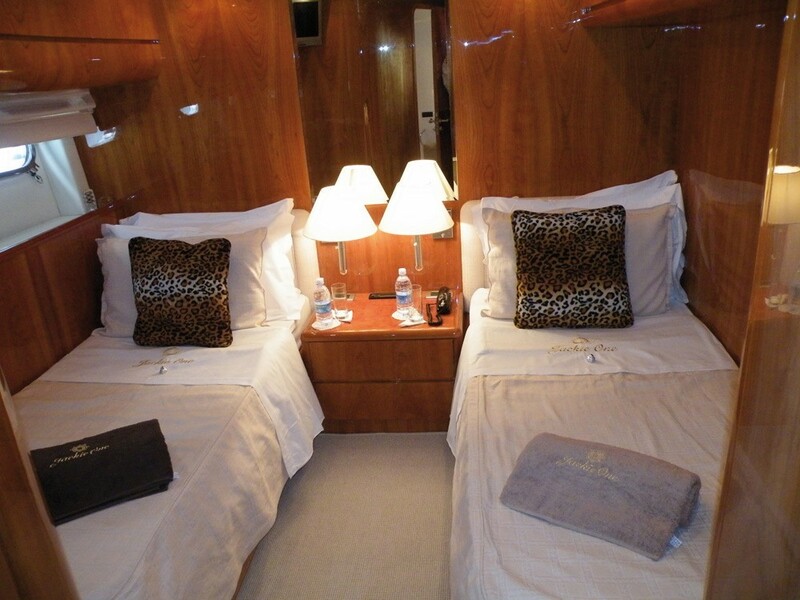 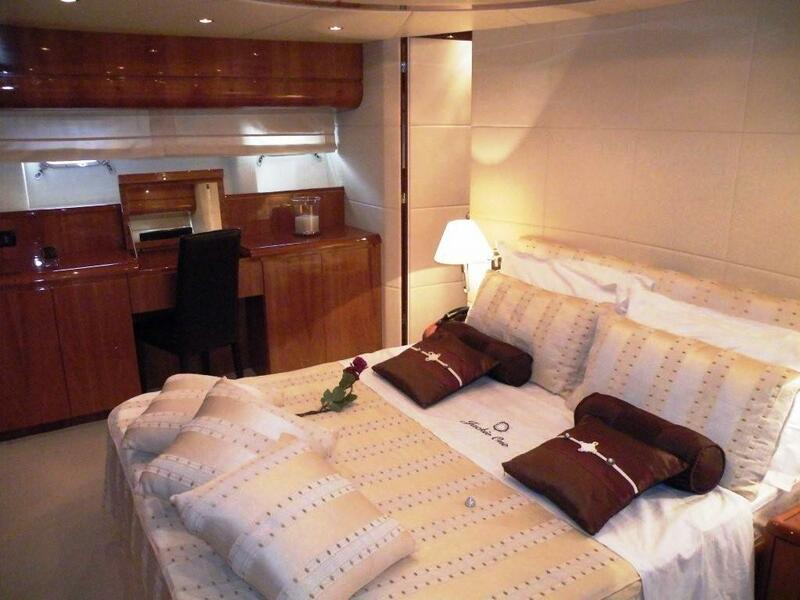 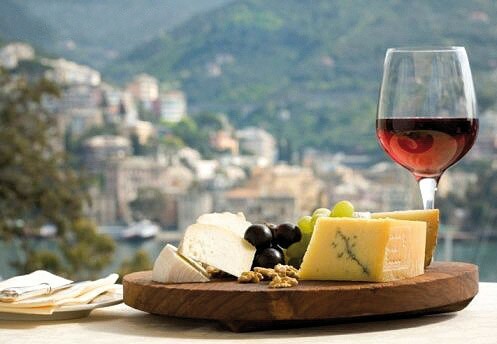 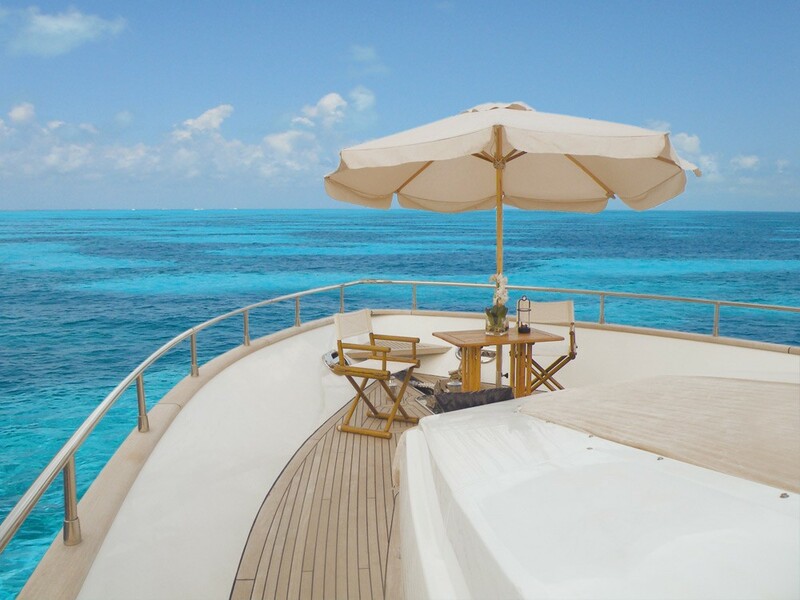 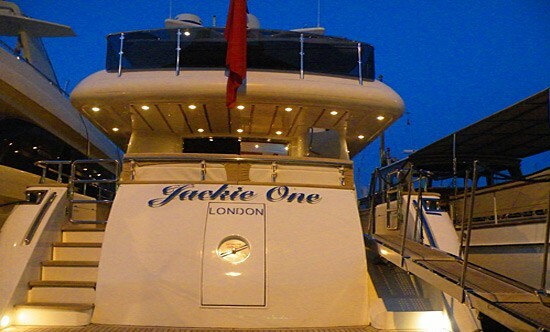 Motor yacht JACKIE ONE can accommodate up to 8 guests overnight and 12 guests cruising. 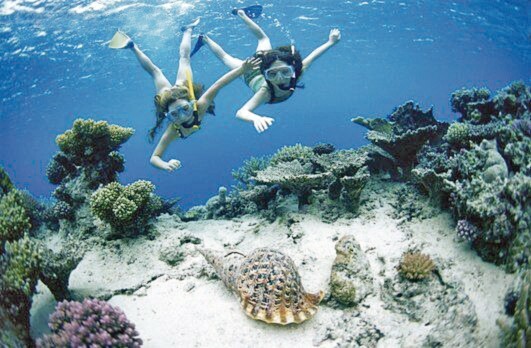 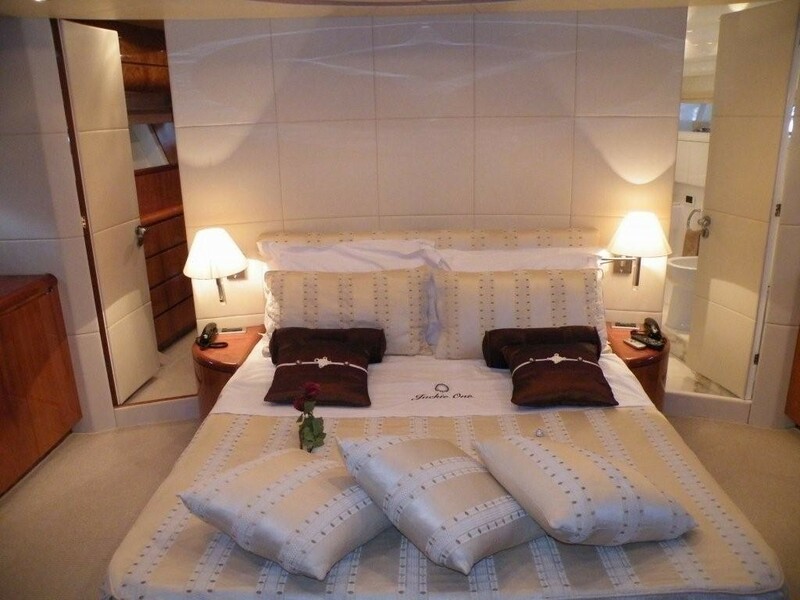 The cabin configuration includes a wonderful Master cabin with queen sized bed and en suite head with Spa Pool, a VIP cabin located astern with Queen Size double bed and the 2 twin guest cabins, all with en suite toilet and LCD TV. 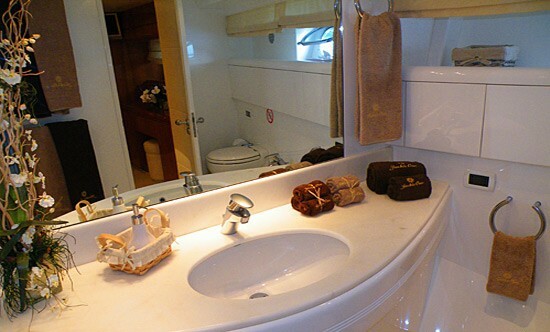 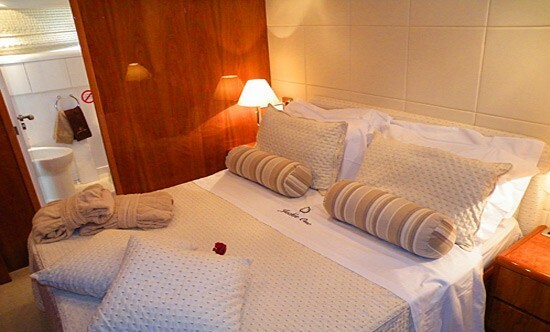 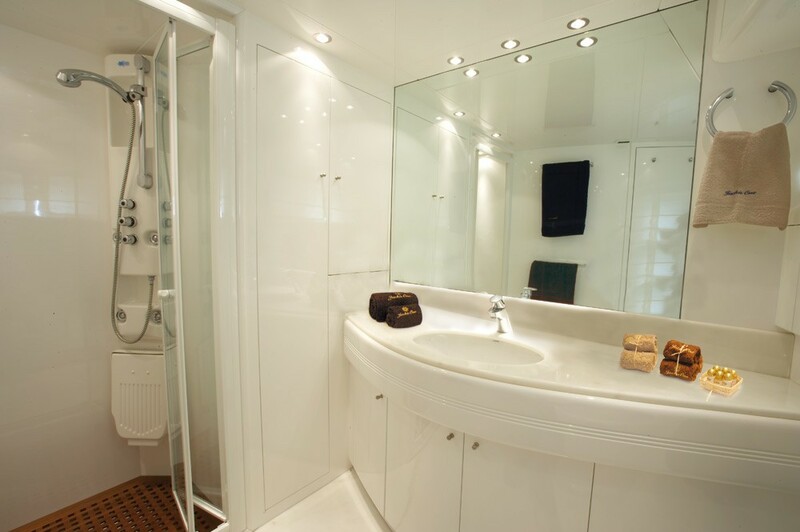 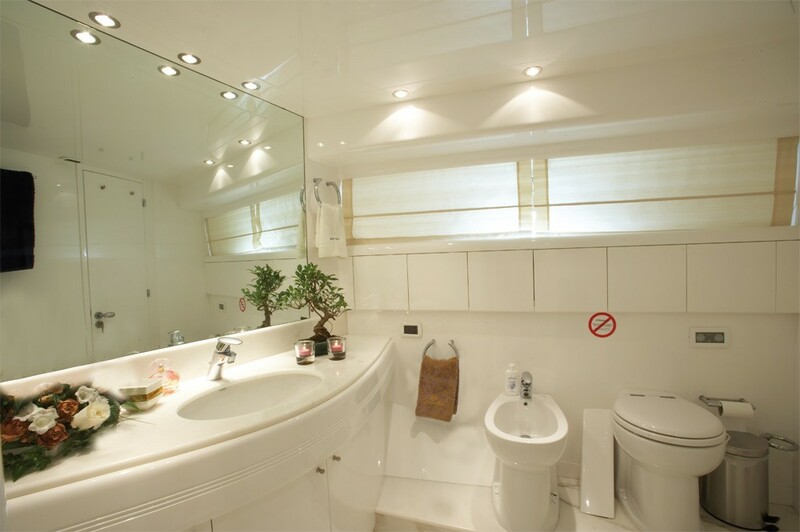 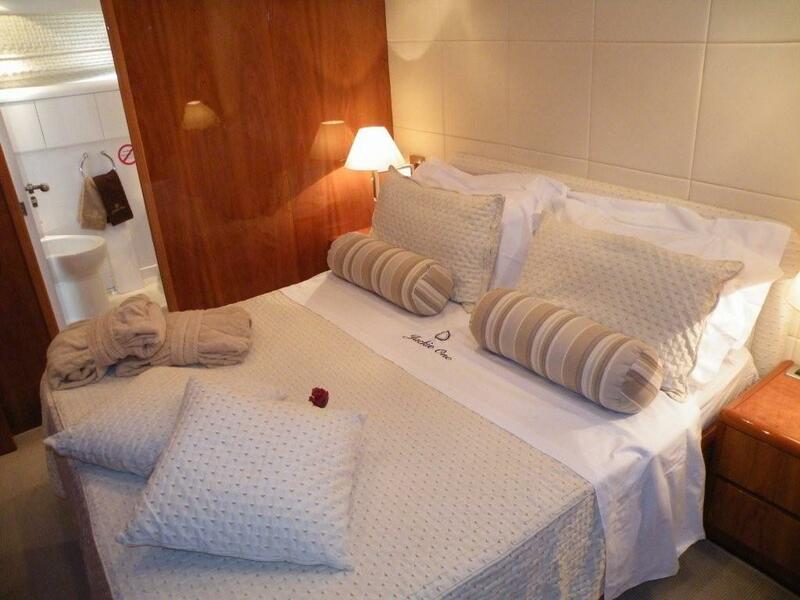 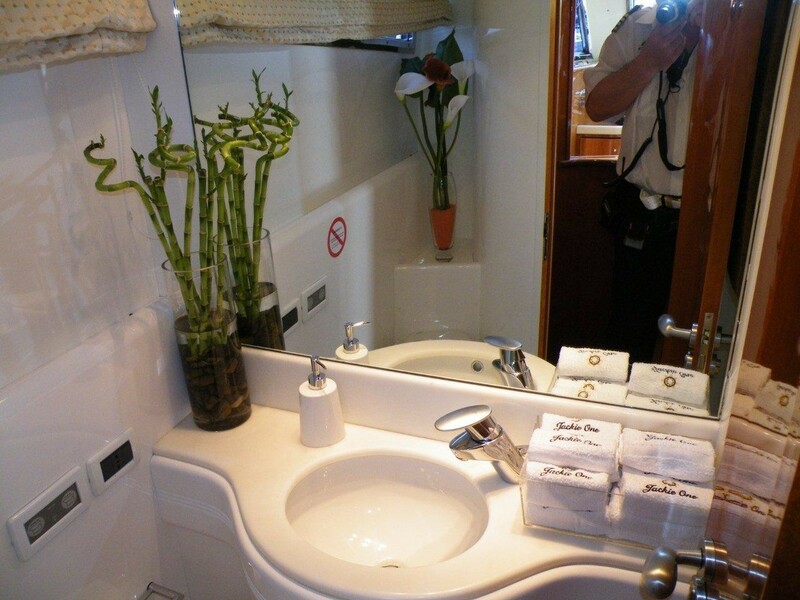 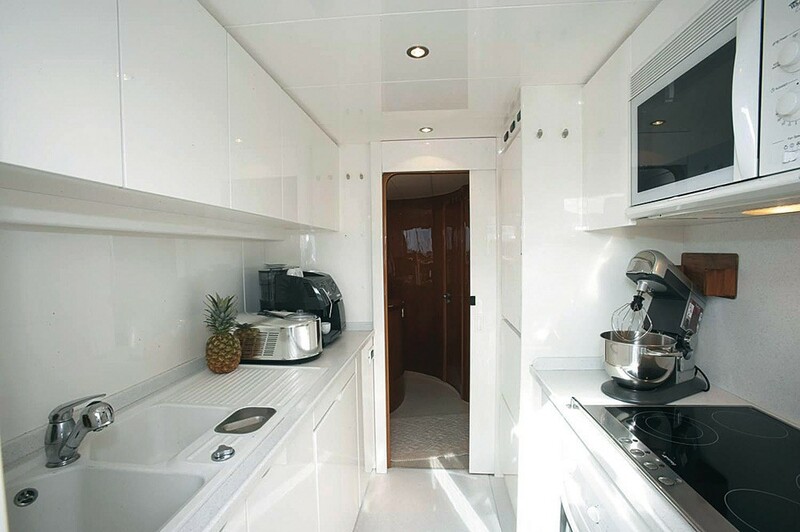 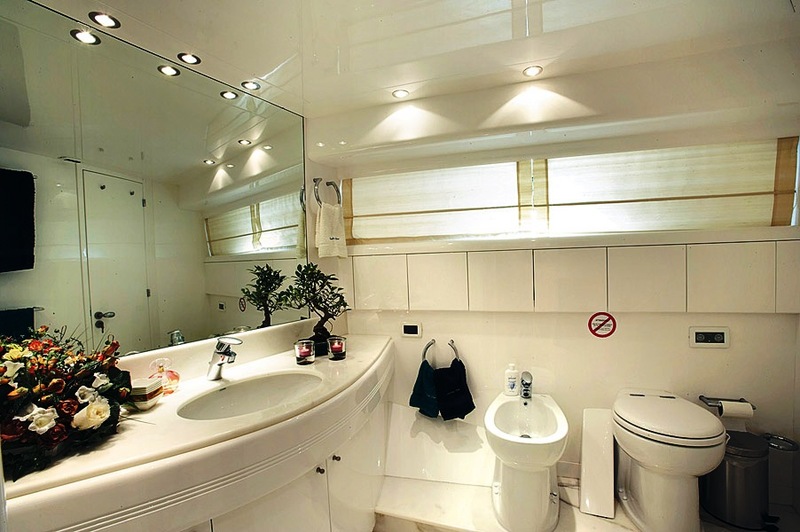 The separated crew quarter gives to the guests comfort and privacy. 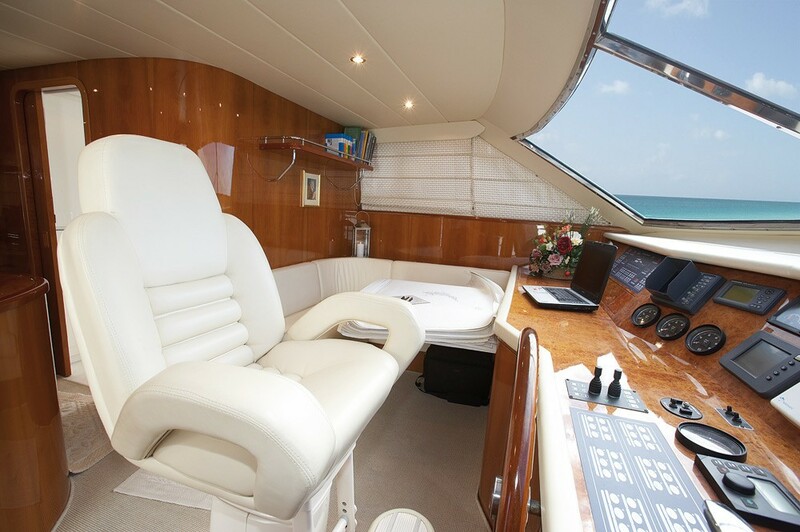 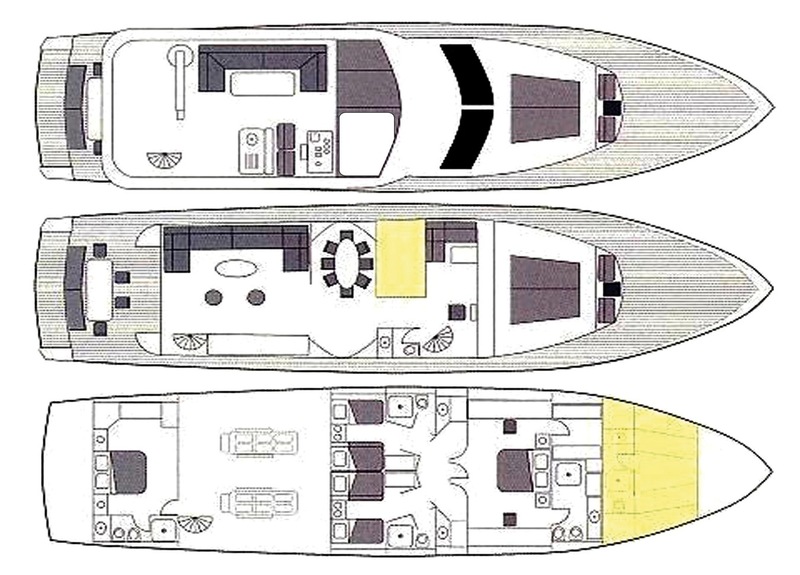 The charter yacht JACKIE ONE has spacious deck areas typical of significantly larger yacht, with a top deck equipped with comfortable sunbathing areas, a large Spa Pool for 4-6 persons and dining table, an aft deck with dining table for al fresco dining, a comfortable bathing platform and sunbathing areas forward. 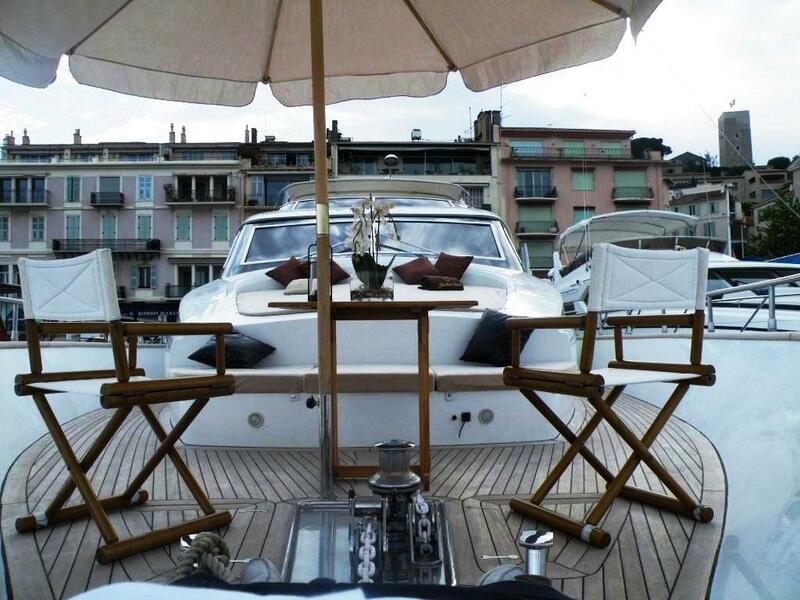 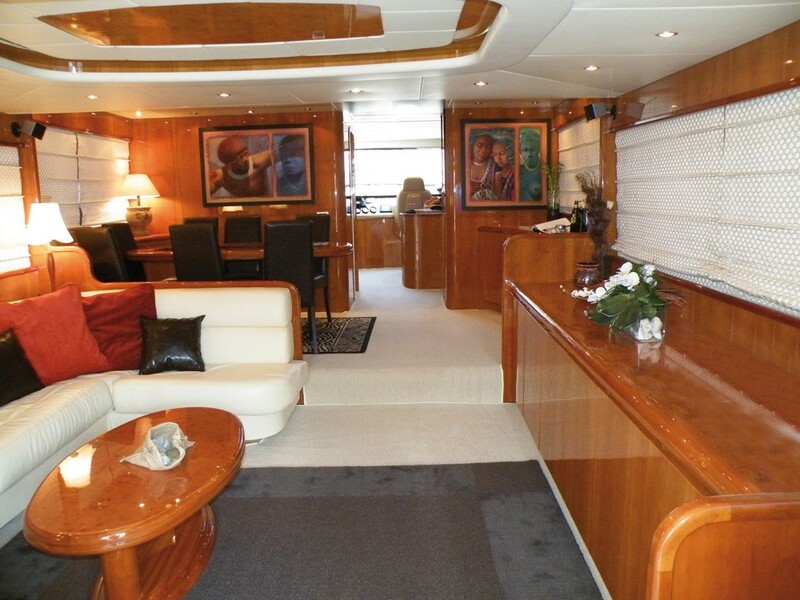 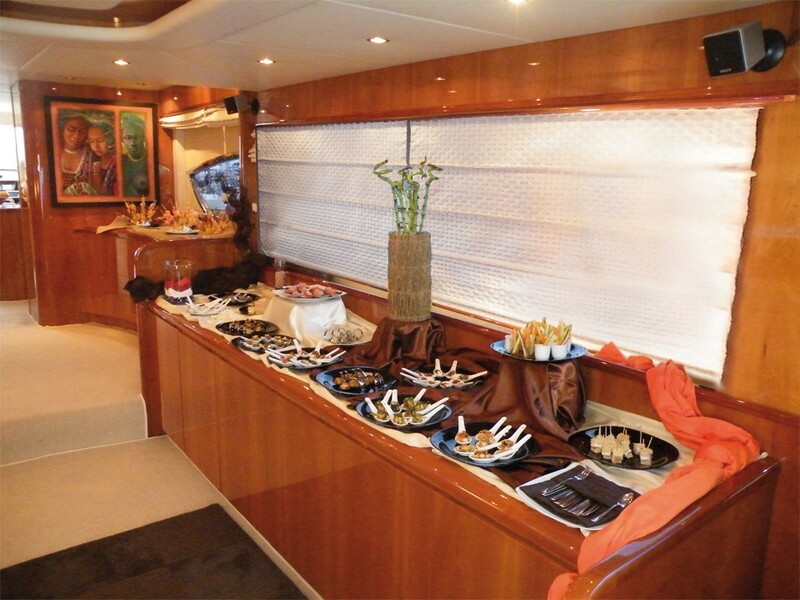 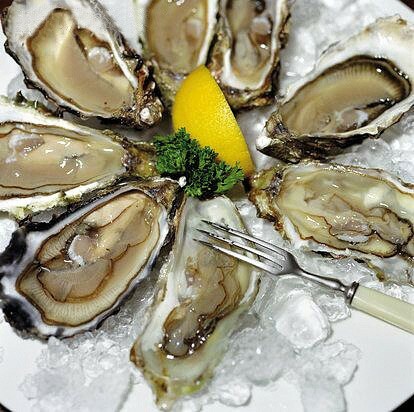 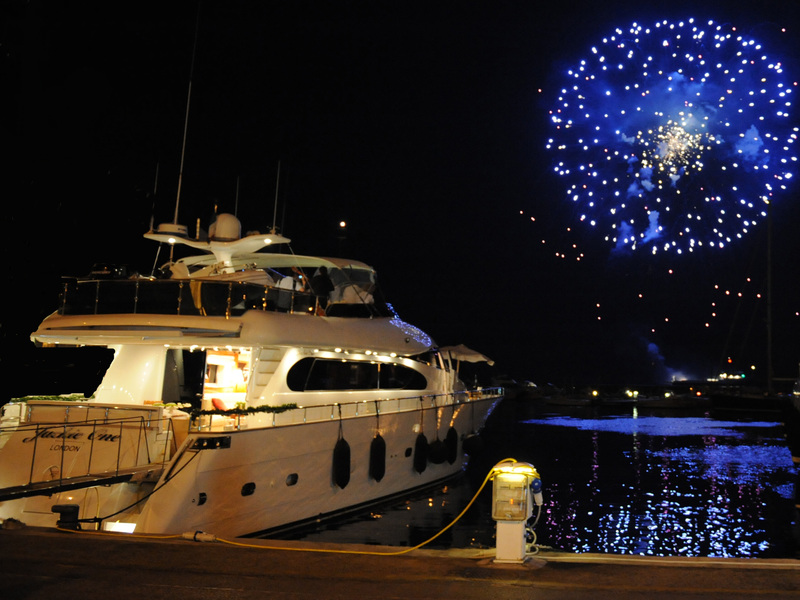 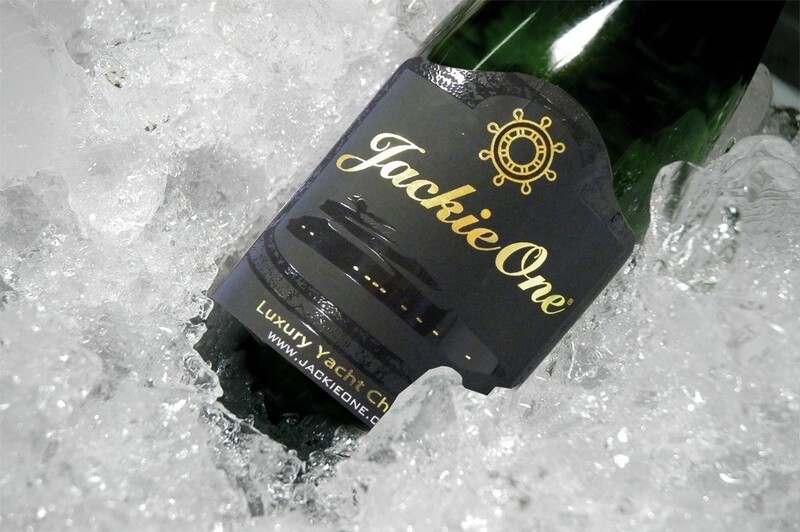 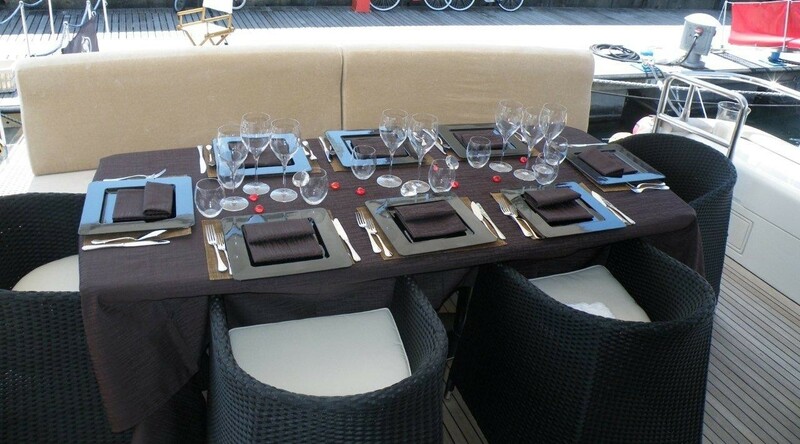 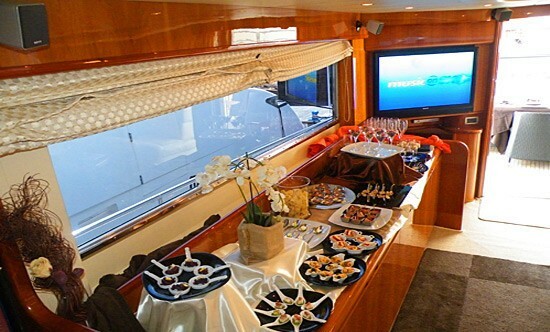 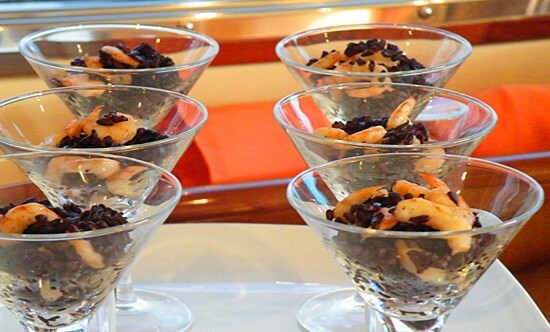 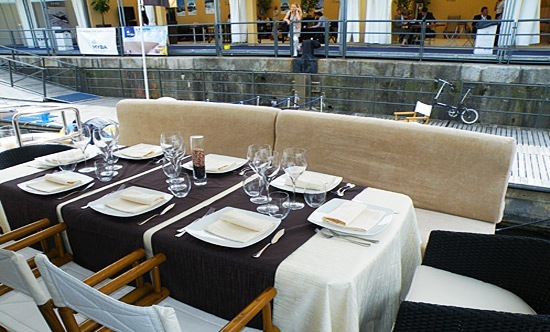 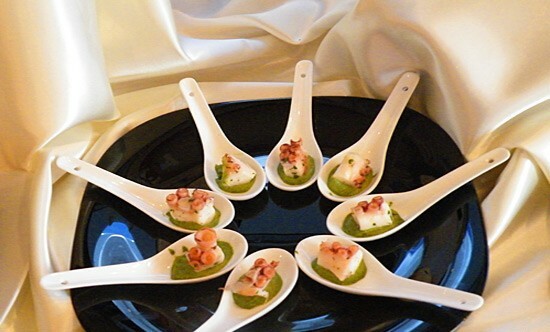 Motor yacht JACKIE ONE is available for event charters. 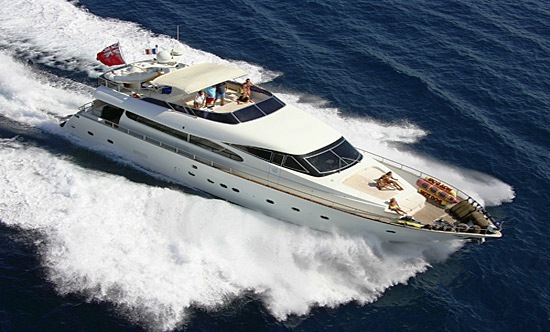 Please contact the team at CharterWorld for further information. 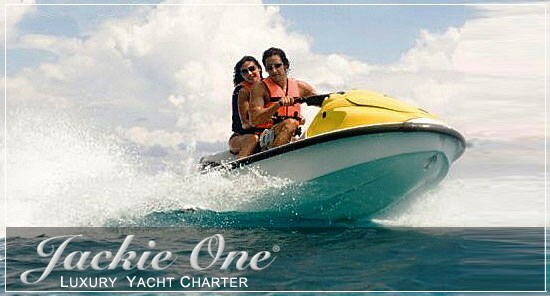 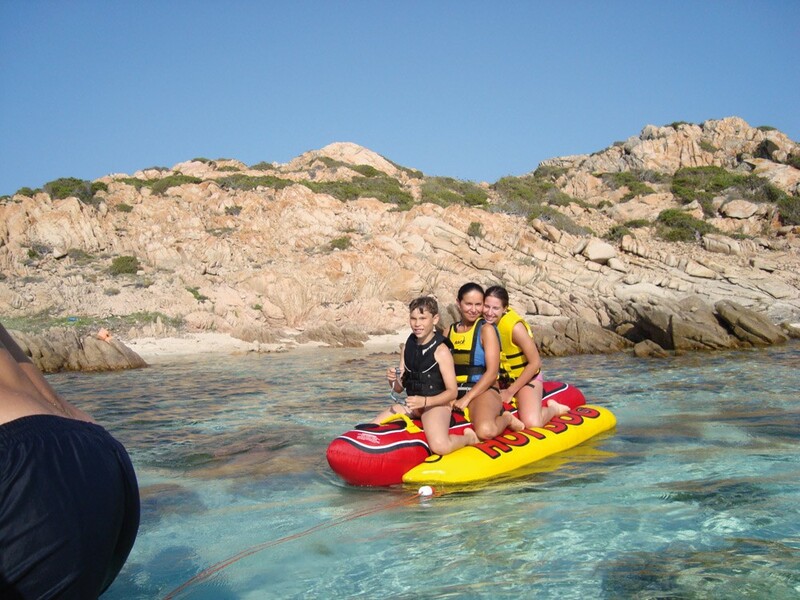 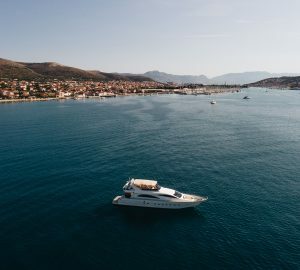 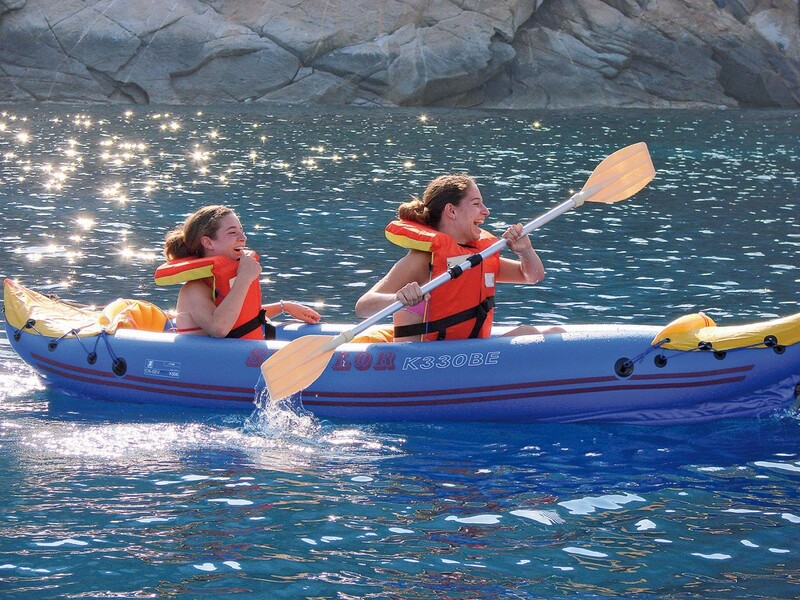 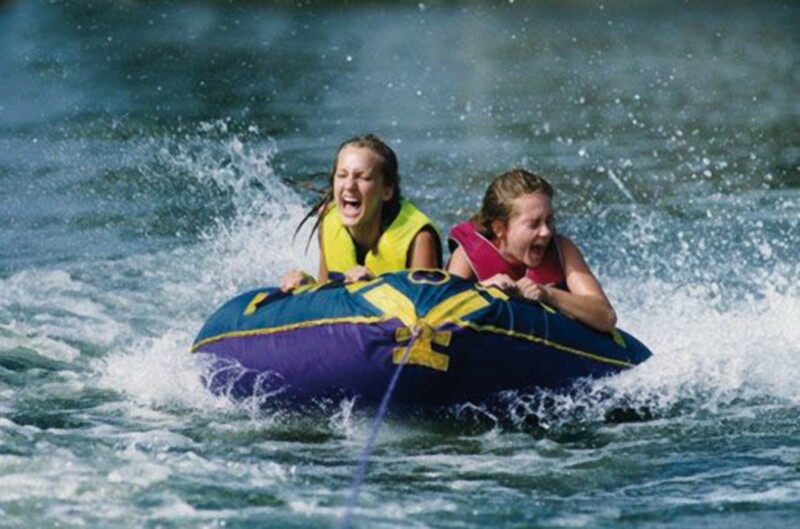 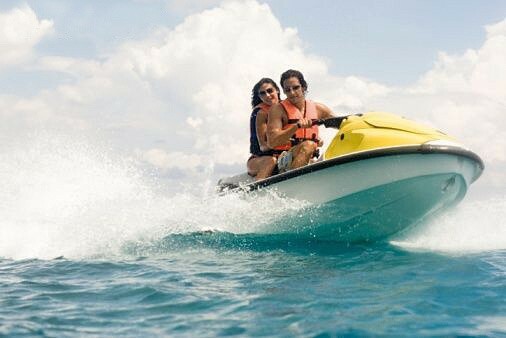 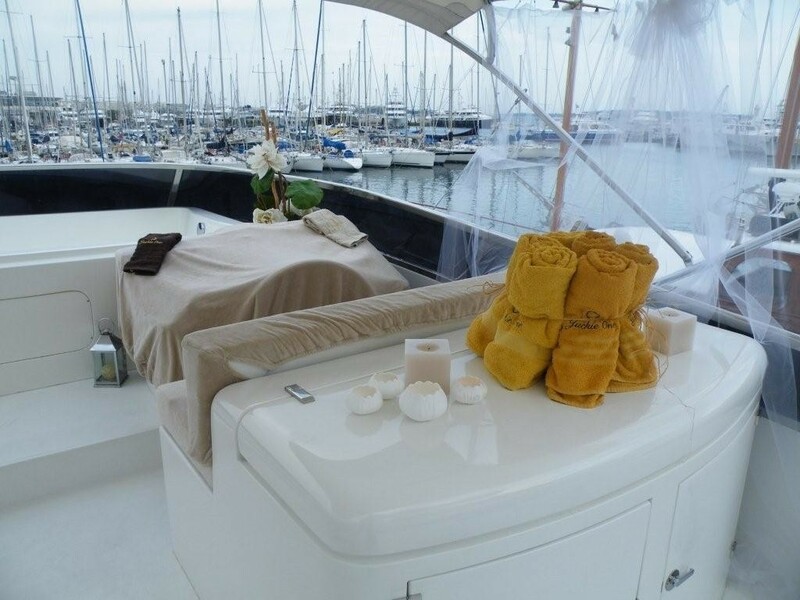 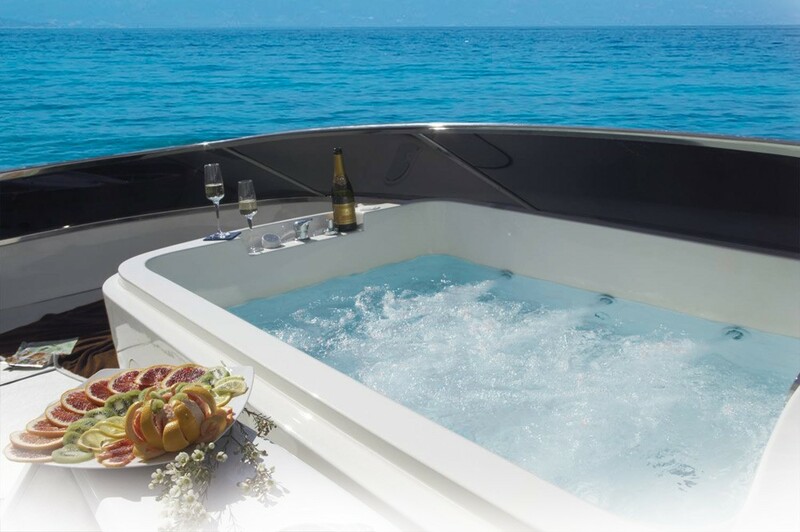 Motor yacht JACKIE ONE has the following Tenders and Toys onboard for guests enjoyment: A Zodiac dinghy 4.50 mt with outboard engine 60 HP, jetski Kawasaki, hot dog, wakeboard, water ski, snorkelling equipment, several inflatable’s, banana, kayak 3.25 mt. 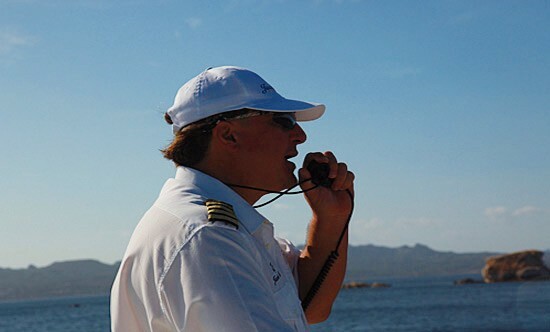 Communications include Internet, fax. 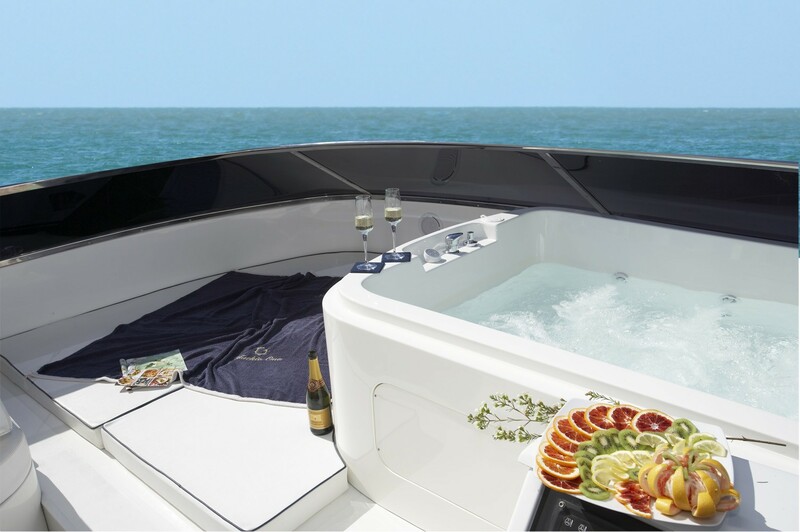 Audio Visual Equipment and Deck Facilities include Air conditioning throughout, heating, 2 generators 25 Kw, Internet, fax, stereo, plasma Tv 50” Home Theatre and DVD in the salon, TV Lcd 20” in the cabs, hydro massage spa pool, fridge, freezer, ice maker. 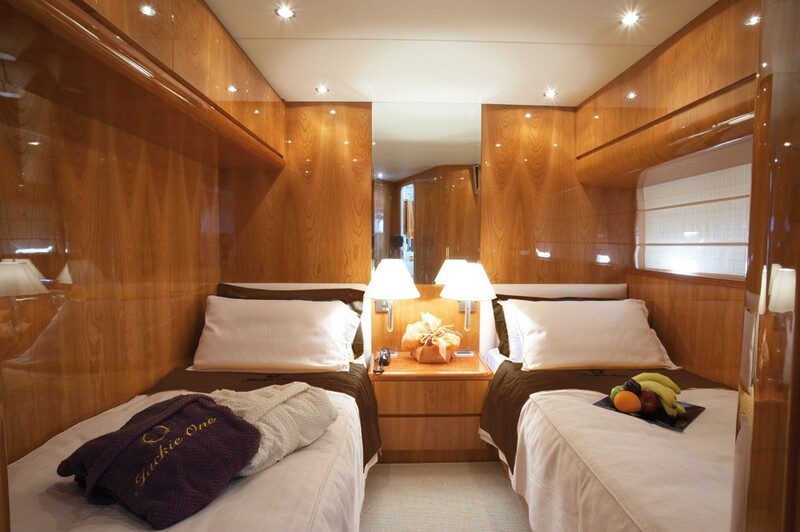 The only safe box is in the master cabin. 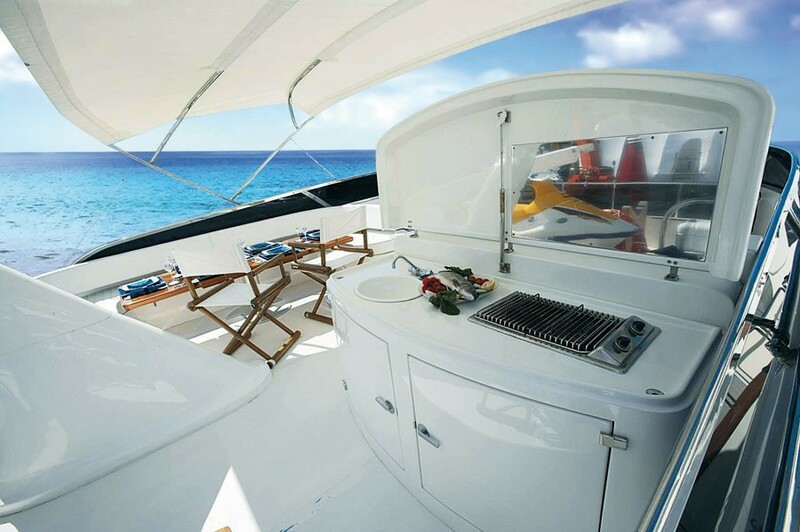 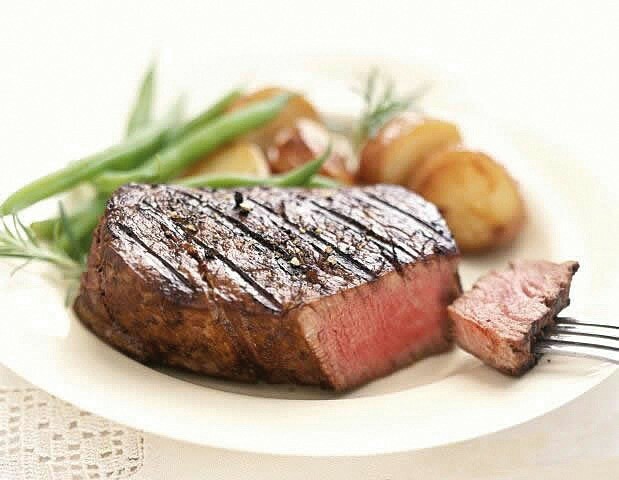 BBQ facilities on the flying bridge.